Bradford Medical Supply (BMS) is a Durable Medical Equipment (DME) rental, logistics and sales company that provides a unique, personal and reliable service to their clients. BMS clients require Rental, New & Used DME delivered, professionally set up and removed at their convenience. My name is Bradford and I own this company. When you call BMS and we speak, my intention is to recommend the right equipment to maximize comfort and minimize discomfort during convalescence and recovery time. I have the durable medical equipment that will help you through your recovery from common medical procedures, illnesses and other maladies. I'm not a doctor, I'm an engineer. 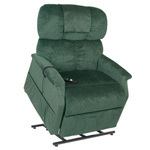 The following link Lift Chair Dimensions, Colors, Fabrics, Weight Capacities & Suggested User Heights reveals the Golden Technologies Lift Recliner Specification page. 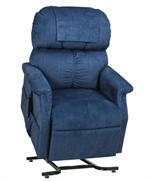 (If there is a "W" near the column the chair can be delivered in 2 to 3 business days.) If you need help navigating the chart don't hesitate to call me and I will help you you and your family select the lift chair equipment that's right for you. Ensuring the safety and reliability of the equipment I repair is the primary focus. Bradford takes a professional engineering aproach with respect to DME repair. tested and wrote repair procedures for communication satellites, the space shuttle and nuclear submarine missile components. Rest assured your DME repair is in good hands. Operating BMS for the last 10 years and speaking to literally thousands of clients, I've gained knowledge and insight regarding; assessment of client requirements with respect to their condition, pain management, advice that can possibly shorten recovery times and mitigate or lessen pain during recovery. I will listen, then assist you in determining what are your requirements, make a recommendation (or sometimes tell you) what is best for you. Then I will procure and deliver your equipment where and when you need it; as fast as humanly possible! 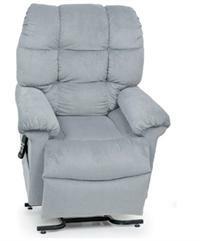 Electric Scooter , Lift Chairs, Recliners, Hospital Beds, Luxury Hospital Beds, Bariatric Hospital Beds, Wheelchairs, Transport Chairs, and Power Wheelchairs, Knee Walker and Ramps by authorized distributors for Fast Home Delivery! 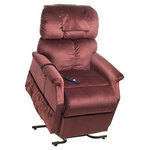 Our delivery fees includes drop off, pickup, set up and instruction of the rental equipment. 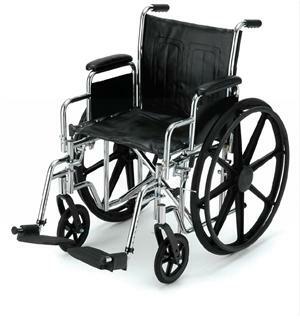 Bradford Medical Supply sells new medical equipment such as; Scooters, Infinite Position Pride Lift Chairs/Zero Gravity Golden Technologies Lift Chairs, Hospital Beds, Wheelchair, Mattresses, Ramps, Walkers, knee walker, Transport Chairs, Scooters and Mobility Chairs.